Lot 178. 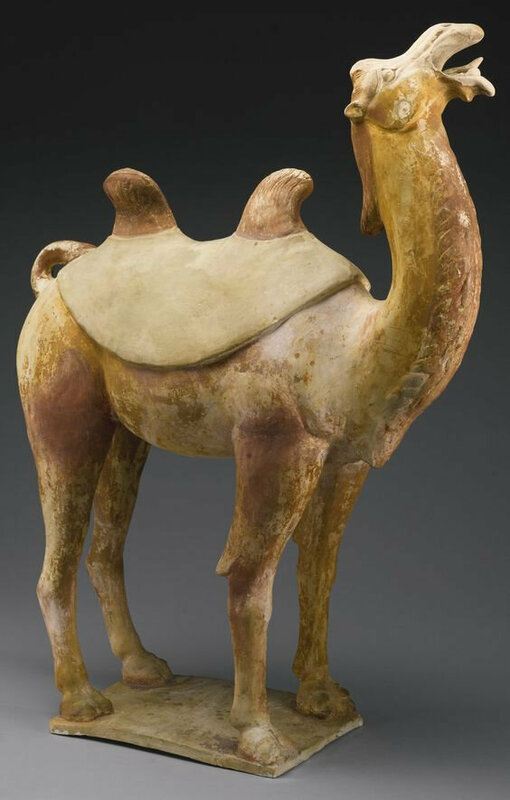 A large painted pottery figure of a Bactrian camel, Tang dynasty (618-907). Height 33 1/4 in., 84.5 cm. 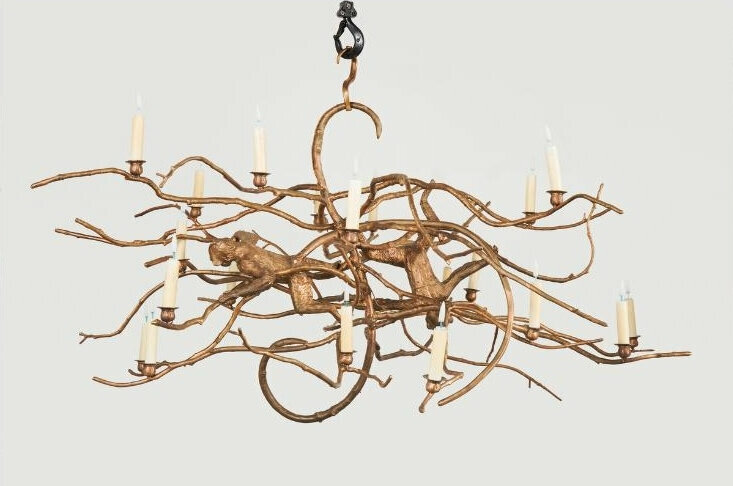 Estimate 5,000 — 7,000 USD. Lot sold 5,000 USD. 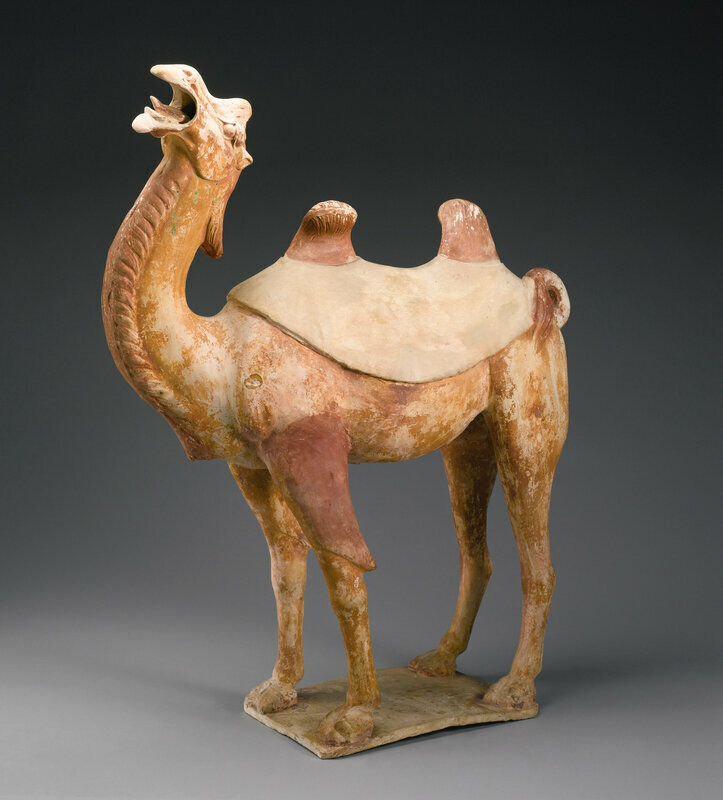 Courtesy Sotheby's 2014.
boldly modeled with head thrown back and mouth open, standing foursquare on a rectangular base, the tail in the round and flicked up onto the rump, the neck, head, humps and tail with incised fur markings colored with red pigment, with further red pigments indicating fur at the top of the legs, the simple saddle blanket undecorated, with traces pigment. 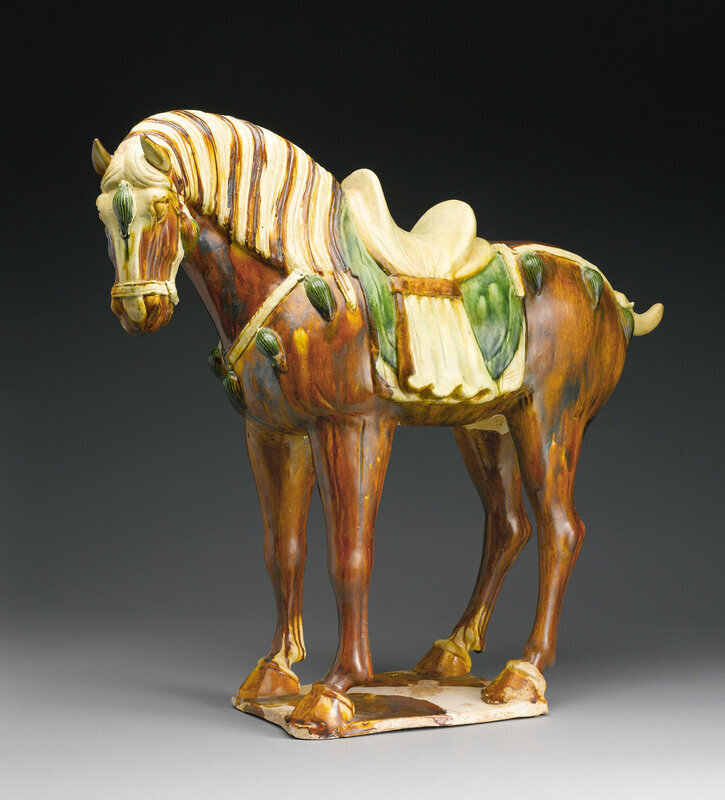 Provenance: Lillian and Ezekiel Schloss Collection, New York. Sotheby's New York, 3rd December 1984, lot 25. Exhibited: Tomb Sculpture, Epcot Center, Orlando, 1982, pl. 40.